The site lies some few miles north of an ancient meteoric crater, and the story seems relatively clear from the evidence left behind. Some footprints indicate running—confusion as traffic collided in the final moments of a chaotic world. 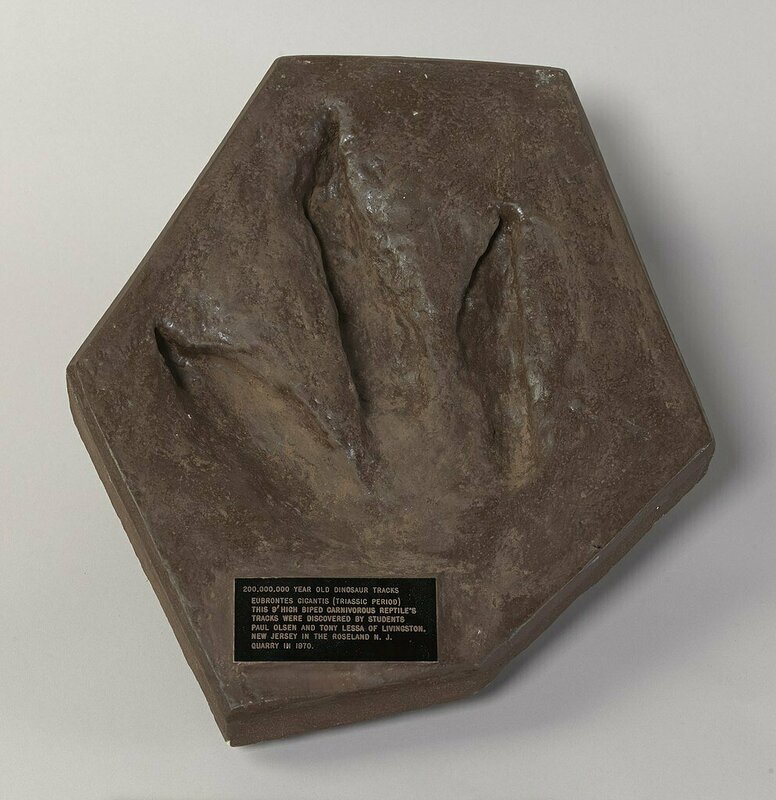 Yet, the majority of the footprints seem to face the direction of the crater—as if these large reptiles were transfixed by a fiery display in the sky. The world around them was collapsing. Precipitation had muddied the terrain. When the meteor hit, scorching heat burst in all directions, baking this dinosaur community right into earth—the footprints, the eggs, the dung and even an almost-entire dinosaur skeleton—all of it fossilized just off this wilderness highway. Palaeontologists have left the remains there, says one of the Navajo locals who guides tourists around, though all the finds have been documented. This desert museum is one of many sites that attest to the destruction of a majestic breed of animals. These imposing creatures have captured the imagination of many a young boy, and the story as to their extinction has perplexed palaeontologists, scientists and evolutionists, who can only theorize as to how the “age of reptiles” came to an end. Many Bible-believers, on the other hand, are cautious about all this dinosaur talk, fearing that—if scientists are right about the nature of these creatures’ existence—the Bible’s credibility could be forever extinguished. They assume the Earth is 6,000 years old, and that the Bible attests to that fact. This either causes them to ignore fossil evidence or to concoct outlandish theories that dinosaurs lived between Adam and the great Flood of Noah’s day. On this point, traditional creationists need to be corrected. And if scientists knew what the Bible actually says, perhaps they would be less likely to dismiss it as some mythical text that weaves a tale of a world much younger than they believe to exist. Science would, in fact, see the direct answer to the age-old mystery of what happened to the world of the dinosaurs! “In the beginning God created the heaven and the earth” (Genesis 1:1). No biblical evidence suggests that this verse documents an event 6,000 years ago—to the contrary! The Hebrew words translated as without form and void are tohu and bohu—“tohu” meaning vain, confusion, wasteland, place of chaos, and “bohu” meaning void, empty, waste. The verse continues to describe a state of utter darkness. Does this sound like a creation of God? Of course not! In fact, God states elsewhere emphatically—using the very same word tohu—that He did not create the earth in this manner! Isaiah 45:18 says: “For thus saith the Lord that created the heavens; God himself that formed the earth and made it; he hath established it, he created it not in vain …” The word “vain” here is the same tohu used in Genesis 1:2. And He created it NOT in this manner. Other verses confirm that God did not create the Earth in this state of disarray. And the phrase “the earth was without form” actually means, in the Hebrew, the Earth became without form (Genesis 19:26 uses the corresponding Hebrew verb, stating how Lot’s wife became a pillar of salt). Thus, these verses clearly show an initial creation, and then a cataclysmic destruction. Genesis 1:2-10 indicate that the Earth was covered with water and that no sunlight was able to pierce through the impenetrable, lethal atmosphere. What God embarked on, according to this account, was a re-creation. This is what the Bible shows occurred roughly 6,000 years ago. Earth was re-inhabited with life. The “Spirit of God moved upon the face of the waters,” beginning this process of renewal. This too is stated dogmatically elsewhere in the Bible: “You send forth Your Spirit, they are created; And You renew the face of the earth.” (Psalm 104:30). See, the entire planet had already been created. Only the face of the earth, which had been destroyed, required renewing! Understanding this timeline allows for dinosaurs, other creatures, and other phenomena to have existed and occurred much more than six millennia ago. It is only when so-called Bible believers lock themselves into a 6,000-year-old world that they have trouble with dinosaurs. This gives birth to the erroneous notion that dinosaurs had to exist until the time of the great Flood—another Earth-wide destruction. A simple study into the account of Noah will show that he brought some of every kind of animal onto the ark (see Genesis 6:19-20). If dinosaurs had existed, they would have been on the ark—and still would have existed in large enough numbers to be documented throughout man’s history. The story of the Bible is not about a young Earth, but an ancient one that was literally impacted by the rebellion of a great archangel so many years ago. How art thou fallen from heaven, O Lucifer [Heylel], son of the morning! how art thou cut down to the ground, which didst weaken the nations! For thou hast said in thine heart, I will ascend into heaven, I will exalt my throne above the stars of God: I will sit also upon the mount of the congregation, in the sides of the north: I will ascend above the heights of the clouds; I will be like the most High. Yet thou shalt be brought down to hell [Hebrew: sheol, meaning grave, pit or exile], to the sides of the pit. 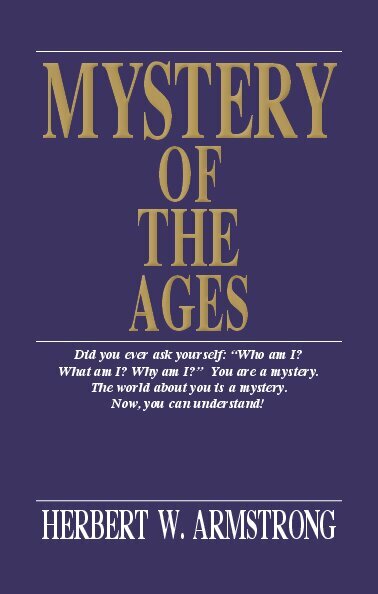 Click here to request your free copy of Mystery of the Ages or download online. This transition is completely at odds with evolution. However, it aligns precisely with the biblical account. This world, after the ruins of Satan’s rebellion were repaired, is one completely suited for warm-blooded humankind—created in the image and likeness of God, to have dominion (Genesis 1:26). Man could not have dominated a world in the age of the Tyrannosaurus Rex or the Brachiosaurus. Nor could he have survived. The fruits and vegetables, the meat, and even the pleasant beauty and sounds of birds and flowers, were all created for the age of man. Scientists look at the remains of the pre-Adamic world (our term, not theirs) and see fossils buried in what they say is an evolutionary order. That is what they assume—finding, we might add, no transitional fossils between these layers. This is something that still stumps the greatest scientists! The world, in truth, was actually teeming with all sorts of life of varying sizes. When destruction rained down on the Earth, rocks were laid down suddenly. Those creatures close to the impact of a meteor would have been cremated and/or buried and baked near the surface, as can be seen near that spot in the Painted Desert. Earthquakes would have rocked the Earth, along with major volcanic eruptions. This great extinction wiped out old and young, eggs and elderly, small and large. No other explanation can account for such a dying off of these prehistoric life forms—particularly the dinosaurs, which disappeared in all regions of the world. It caused the extinction of air, land and marine reptiles. These reptiles did not evolve into mammals. They were obliterated. The so-called Cenozoic era—the age of man’s existence on Earth, where all vegetation and life enable human survival—began after God re-created the Earth. Cenozoic rock, because it represents the age of man, consists of an entirely different set of sedimentary layers and fossils than was laid down in the pre-Adamic destruction mentioned in Genesis 1:2. In these more recent layers, not surprisingly, fossils of the warm-blooded mammals associated with man’s world suddenly predominate. Rather than proving evolution, the layers of fossilized rock attest to supernatural forces at work in nature: First, huge meteor showers unleashed by Satan’s war against God (Ezekiel 28:16-18) and an ensuing catastrophic Earth-wide flood; and, second, the Flood of Noah’s day, caused directly by God Himself. 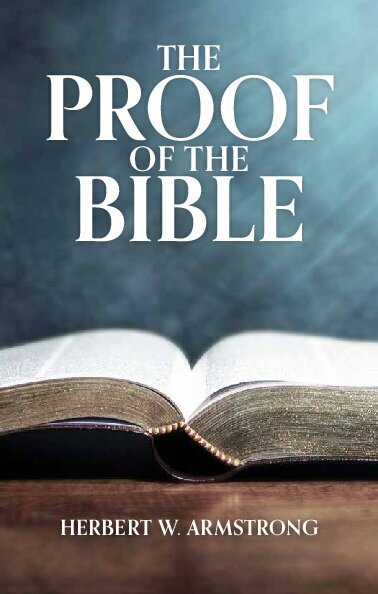 Click here to request your free copy of The Proof of the Bible or download online. Thus, there is no conflict between fossil record and biblical truth—instead, the biblical account matches up perfectly with the evidence on the ground. It is the evolutionary theory that is at odds with the evidence. Modern science is built on the premise of dismissing God’s existence, and discarding the Bible (however, it wasn’t always this way). This method was always doomed to fail. After all, science should be based on all knowledge—of which the God-given Bible is the foundation! As a result, the “experts” are “ever learning, and never able to come to the knowledge of the truth” (2 Timothy 3:7). The facts of science and God’s Word will always agree with and mutually amplify each other! For further proof of the existence of God, as well as the authority of the biblical account, request (or read online) our two free booklets: Does God Exist, and The Proof of the Bible.